I said to Elizabeth last night my legs are tired and really are wasting. We then did a few stretches and crunches and i headed off to bed. 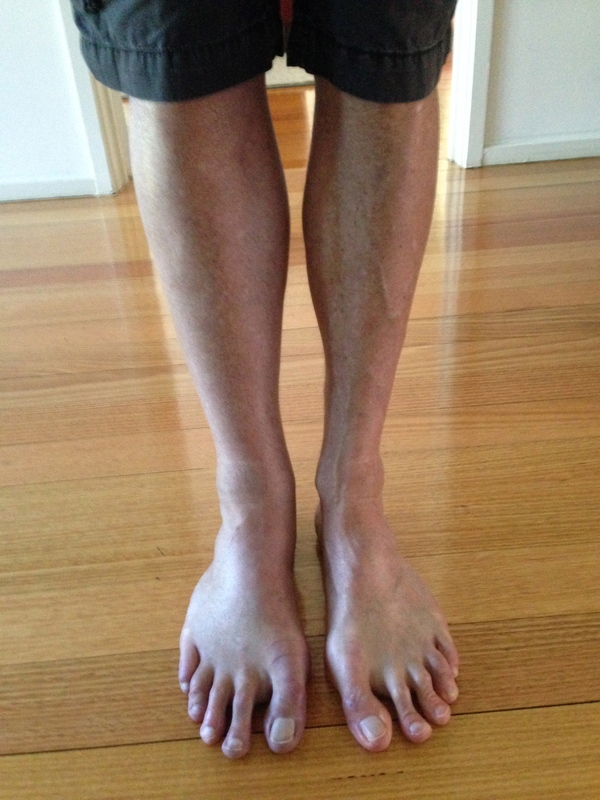 I tore off my pants and amazingly my right leg was 40+ pct bigger than my left leg. Those 2 legs usually never change size like that! We rang palliative care and they set us up to go to what I consider my second home, Cabrini Emergency. I just love everyone in that Hospital! 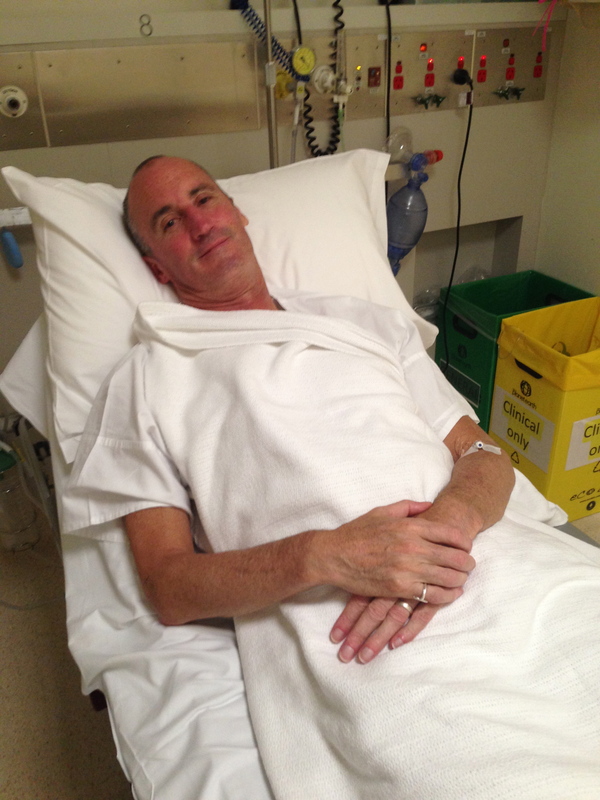 A short wait after triage and then into a bed in emergency ward, blood test and decision to go off to get a Doppler ultrasound. Nurses were great as was the Doc. I found it eerie rolling through the back bits of the hospital all cloaked in night light and down through the bowels where a lot of Rays and Nuclear and CT and Doppler stuff happen. I was in a lot of those rooms 6 years ago in very yucky scenarios so it was a bit like visiting ghosts. Anyway the great on call Doppler Doctor looked after me and it turns out I have clots in my groin and lower guts, therefore blocking the flow out of my leg like a dam in a river was the quote. Rolled back up to emergency and then chat with the Doc re options. Started with a shot of Clexane, and prescription for pills or thinners as they get called.This is an advance from 6 years ago where I had to self inject 2 times a day for 6 month, now just pills, fantastic. I need to take them for 3 months, I find a smile in that and promised the doc I would do my best to take the last pill and I will. Then due to the severity of clotting we discussed maybe a 2 day stay in hospital to keep me still and rested. My oncologist, now my escape artist was rung and he knows my wishes so I was told to go home, take the pills and rest for a few days till the clots dissolve. We all agreed an embolism at home or at hospital whats the difference its never going to be fun. We got out of there like a Bat out of Hell (my favourite song even more so now) and boy did I enjoy sharing a midnight drumstick with Missy my cocker on my bed. These are just magic ups and downs. The ups have more magic. Hopefully from here I can stay on my track which is simply eating and breathing issues. When we got home Mitch who was waiting anxiously and I had a hug and laughed about we had both thought we rushed out so fast there was no goodbye, a lesson for the future just in case. He had at least thought about it but was concerned if he has I would have freaked, considerate hey, but why talking is essential. I also throw in a pic with Mr Kennett I left off the other day. Well thats it for a dramatic night and relaxing day. PM Abbott had better hurry up as his odds of outlasting me are getting better daily. With that said Mr PM, I am starting to feel I am playing a waiting game, i.e. you are just waiting me out. Unfortunately you can, as I will inevitably die in the next few months and be out of your way. Please don’t let it end that way for either of us. We will have a positive experience, promise. Had an amazing interview with Joan Kirner yesterday ex Vic Premier. Wow has she done some things and got some great ideas. Meeting with both Kennett and Kirner has inspired me in a few ways and given me a different lens. I can see now a little bit why and how politicians are different from corporates. Both of them had incredibly disciplined models in their heads around how to attack things. Office Space. The doco film crew is now a team of 5. The problem we have is they need a small office space in the Melbourne south eastern suburbs or not to much further away. It would be to do team meets, lap tops, edit equ etc. One medium room a few desks and chairs, power would be fantastic. Need it for say 3 to 4 months max. If anyone can help out as a donate it would be hugely appreciated, we can’t afford on the budget to rent one. Let me know on pgs-28@hotmail.com.au We would give you a credit in the tele movie as I now call it. It is far more than an everyday Australian Doco. I had my first emotional wobble last night. Big sister came over and got into are you feeling death getting closer and are you going to miss things like grandchildren. I tried to think hard on it and did my first tear up, not a flood however. Interesting thing is the way I am doing things is to be excited and aggressive around short term goals, like some key dates for me in the short term, commitments, birthdays and Mitch starting work. These I think/ hope I can make it and they are realistic targets. Just like business if the target is not real no point chasing it. To think about what is out there you will miss is just pointless, so I don’t. Still another clarifying learning for me and interesting. A bit of cheek water was probably due and it made cuddling Elizabeth then the dog all that much sweeter. Lets begin with cancer stuff. My voice took a turn for the worse after my big female cabinet night. Thought it was overwork, you try talking over that many ladies! Went to ENT man today rang at 9, in at 4.10 amazing. He stuck the elephant nose tool down my nose through felt it wiggle as far down as my bum, and bottom line is not a big drama maybe like the ladies a bit of silicone and botox shift. Theory is voice and letters come from lungs, vocal chords and mouth, I have 1 in 3 in top form, concentrate on slowing up, not talking as much and pronouncing like an English person. 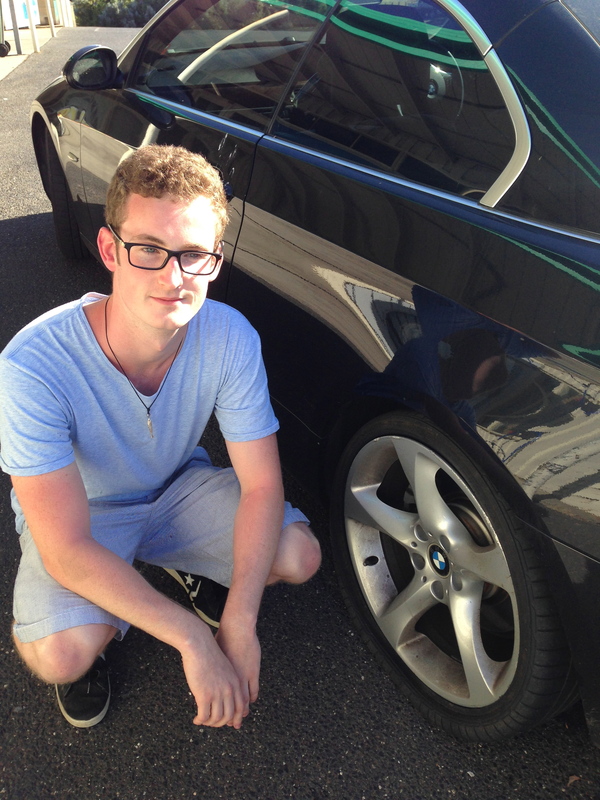 Fantastic outcome as I though back to hospital for a tune. Love that ENY man. 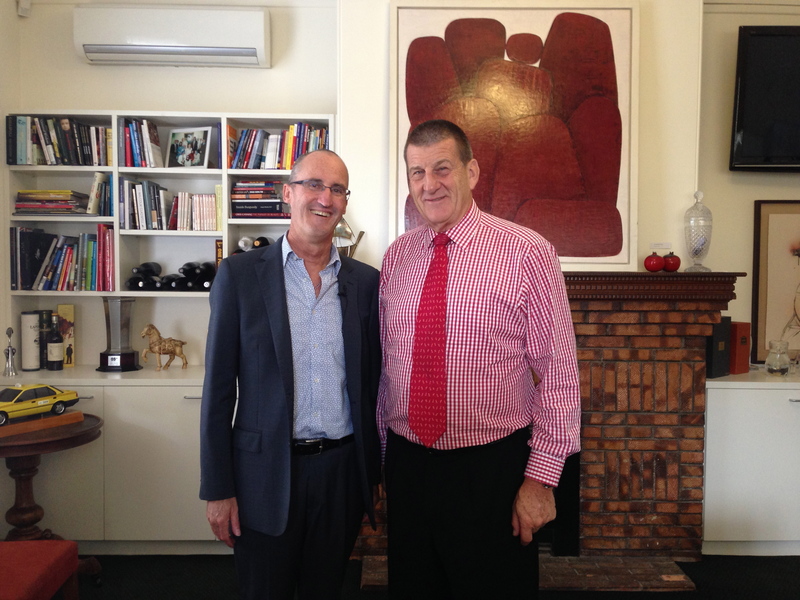 Documentary, interviewed Jeff Kennett ex premier today. Huge supporter of DWD and what a fantastic hour or so. Felt like talking to an old friend. Big learning was he challenged me on the key elevator message re change of law as everyone needs to understand, and it has to be simple. It is a big learning as I struggled to give him a best in class response and if I can’t no one can. Work there for me and political crew. Derryn Hinch dropped by Monday and we interviewed each other as 2 people who have faced a terminal diagnosis. He is now in a better place. But this guy had just returned from 2 weeks in NZ on hols and had taken a heli mountain bike ride where he fell off. 2 cracked vertebrae and a cracked rib and he rolls in to talk with me. Drives a big ol caddy amazing and cool.This is a very special person. We had a great talk and things in the works as he wants the law changed as much as me……..
Been mucking round with a secret TV thing. No more comment on that. It went seriously off the rails but today a 2 hour session sorted it all and again exciting times ahead. Mitchell got his last exam results. He PASSED with a Distinction so now Feb 1 he begins a career in FMCG as a graduate recruit in Store Development, proud dad and just so so happy. Not sure what chemistry is happening in my body and brain but I am in a seriously great place, maybe a bit of morphine, 5 ml of valium before I subjected my self the the ENT probe, 2 G….e and 3 charadies alters perspective. Have just watered our veggies, marvelled at the tomatoes one answered back and now better sign off as clearly this is a bit of a non standard blog. Hope PM has a read and says , oh he can’t be that bad, tomatoes talk to him to! Also had 2 old friends drop in out of the blue his morning, one a brilliant potter/artist bearing gifts and the other unbelievably her ex sister in law who I have craved to have a hi with. Better go to bed as Van Morrison says I am feeling comfortably numb! What a week with chasing the PM. I am not giving up, but realise you would like a broader discussion around my journey. I aim to get back to that balance. However the media below was a great interview on ABC shared with Dr Rodney Syme and ending with the Roy Kossena hit….Please Mr Prime Minister don’t let me DOWN DOWN. I did it in studio at ABC Melbourne friday morning, they call it the TARDIS room, pretty cool as I am a Dr Who fan. I hope you enjoy the story, some new angles. I did get a call from Federal MP for Kooyong Josh Frydenbergs Office (Parliamentary Secretary to the Prime Minister), saying they are still in discussions with the PM’s office………..thanks to them for ongoing trying, just trying is not enough. Day 17/90: My Cabinet addresses the PM Tony Abbott, who is still staying silent! Radio 6PR Paul Murray drive time, Some very clear messages I hope, you be the judge. My continued drive to meet with the PM, it is getting seriously wearing,though Senator Frydenberg’s office advises me they are trying. My executive Cabinet speaks out! Also had a great in station interview this morning with ABC to be played in both Vic and NSW, again same messages Choice at end of Life, meet me Mr Prime Minister, will pt up tomorrow.